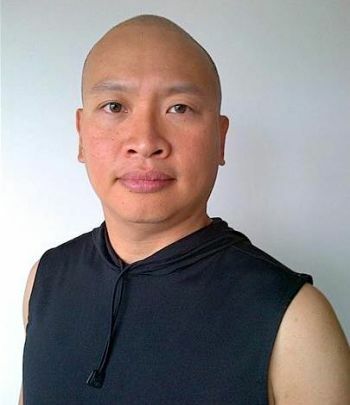 Alex Liang trained at the Victoria Junior College, drama elective programme in Singapore from 1993 to 1994 as a humanities scholar (awarded by the Singapore Ministry of Education) and was a child actor in Singapore. He was 3-time national champion for gymnastics in Singapore, 1993, 1996 and 1997 and competed internationally at the highest level in the sport. He was born and bred in Singapore but has lived in various countries before settling in London and he holds British nationality today. He studied French and Geography at UCL (University College London) and Paris-IV Sorbonne University before making his acting debut in 2004. Using his unique mix of gymnastics, languages and acting skills, he has made his mark on TV, landing big roles in productions like The Midnight Beast (E4), Gweiffreiddiol (S4C), Spirit Warriors (BBC), Christmas Lights – Clash Of The Santas (ITV), Identity (BBC) and Numberjacks (BBC). He can also be seen in commercials for famous brands like Cadbury (for UK and Canada), Aegon (China), Orange (Slovakia), Heineken (Worldwide), Halifax Bank (UK), Walkers Crisps (UK), Aviva Insurance (UK), DFS (UK), Renault (UK), HSBC (UK) and Xbox (Worldwide). Perhaps one of the most memorable aspects of Alex is the range of his experience: few actors have the depth and breadth of his experience which ranges from serious BBC Radio 4 dramas to dancing for Madonna in her music video hung up to educational children’s TV for BBC to combat roles in action films to improvisational comedy in Welsh for S4C to the West End Stage, these are all on his CV. Since launching his acting career, Alex has performed in the UK, Slovakia, Turkey, Germany, Czech Republic, Belgium, Singapore, France, Italy, Dubai and Greece.